Brian has a proven track record of improving profitability, increasing employee productivity, and developing comprehensive business strategies. Brian has held the top management position for SCA’s (one of Fortunes 500’s largest global organizations) North American Health Care division and was a member of SCA’s Global Health Care management team which had responsibility for sales in excess of 1 billion USD with locations around the world. He has been in various senior management roles for the past 12 years and has participated in acquisitions ranging in size from $30 – $70 million. 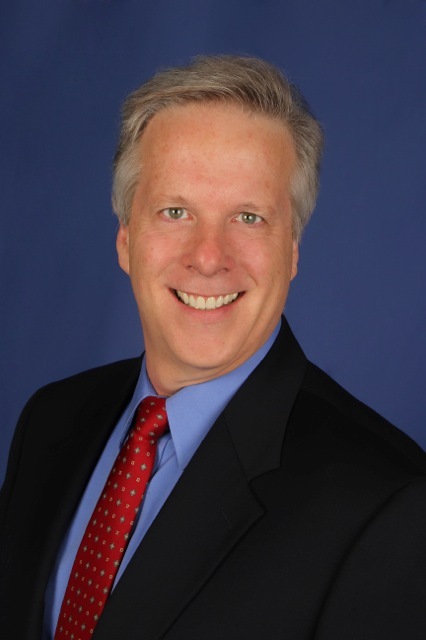 Brian has his MBA from Drexel University and obtained his CPA (currently inactive) in 1992. Brian is a certified business coach and formerly the Treasurer of the HIDA Educational Foundation, the leading distributor association for the Health Industry. Rick’s professional career spans 30+ years working with business leaders and owners in developing and motivating high performing teams to implement strategic plans designed to exceed growth targets. His background and experience includes operations management, strategic planning, human resource management, domestic and international business development, sales and marketing management and business owner. A proven leader with extensive experience implementing new channel introductions in consumer and commercial markets, broadening and consolidating distribution, integrating acquisitions, developing and mentoring people, organization design and leading start-up businesses. A change agent with a track record of effectively creating and aligning cross-functional, multicultural and strategic partnerships to develop customer focused strategies in domestic and international markets. This broad background provides expertise to the vast array of challenges, opportunities, issues and problems top executives and entrepreneurs face in today’s challenging environment. The Alternative Board of PA and Ohio Valley, is a selective, by invitation only, business membership organization made up of Presidents, CEOs & Owners who meet in small structured boards on a monthly basis to improve the profitability of their companies. Serving business owners in Bucks, Chester & Montgomery Counties in Pennsylvania and Sussex & Warren Counties in New Jersey, The Alternative Board helps owners of privately held businesses to overcome challenges and seize new opportunities by harnessing the real-world knowledge of other owners. This combined with monthly coaching provides accountability to achieve business strategies and goals. Dan Filippini is a TAB Certified Facilitator/Coach with TAB PA and Ohio Valley. TAB PA and Ohio Valley has been improving many diverse businesses and their owner’s lives for more a decade by creating, facilitating and coaching advisory boards of non-competing business owners. Dan has over 30 years of business experience helping small and medium size organizations develop and implement their business strategies, improve their financial performance and achieve their strategic goals. During most of the last 20 years he has had full P&L responsibility for businesses in several different industries with revenues ranging from less than $200K to over $70M. Dan has lived and worked throughout the U.S., as well as in Germany and Canada. He graduated from the United States Naval Academy with a B.S. in Mathematics and served in the Navy on two nuclear submarines where he was qualified as Chief Engineer. Rip Tilden is a partner at Makarios Consulting, bringing with him more than 32 years of leadership experience as a senior executive in a wide range of public and private companies. He is highly regarded as an effective team builder and leader with a proven ability to lead change, grow organizations and deliver strong results in intensely competitive industries. He has led organizations with business operations in the United States and with strong customer footprints in Europe and Asia. Rip is known for integrity, outstanding communications skills, and a consistent record of successfully executing strategic vision to grow enterprise value. During the past 15 years, Rip has held senior leadership roles in three Philadelphia area companies (Alco Standard, InterDigital Communications and he led a multi-million dollar fitness and wellness business in West Chester as its general manager). He is a member of the faculty at The Wharton School at the University of Pennsylvania, where he works with MBA students on international strategy and marketing projects. Rip earned his Bachelor of Arts degree from DePauw University in 1975 and his MBA from the University of Chicago in 1982.